How can I introduce new fish to the tank? Moving to a new home is stressful, especially for fish. So whether you’re starting an aquarium from scratch or adding a new pet, read on to ensure the transition flows smoothly. Before purchasing a new fish, speak to your local Petbarn team member about whether it’s a good match for those you’ve already got at home. You’ll also want to check that your aquarium is big enough for the fish as they grow, and that you’ve provided enough plants, gravel or ornaments for shelter. No doubt you’ll be eager to get your new pet home, but take the time to make its journey as smooth as possible. Place your fish bag in a cool, dark place in your vehicle and take corners gently so it doesn’t bump and slosh around too much. 1. Test to ensure your tank’s chlorine level is zero, and the pH level matches the store’s. You can use a fish test kit or bring in a sample of your aquarium’s water for free testing at your local Petbarn. 2. 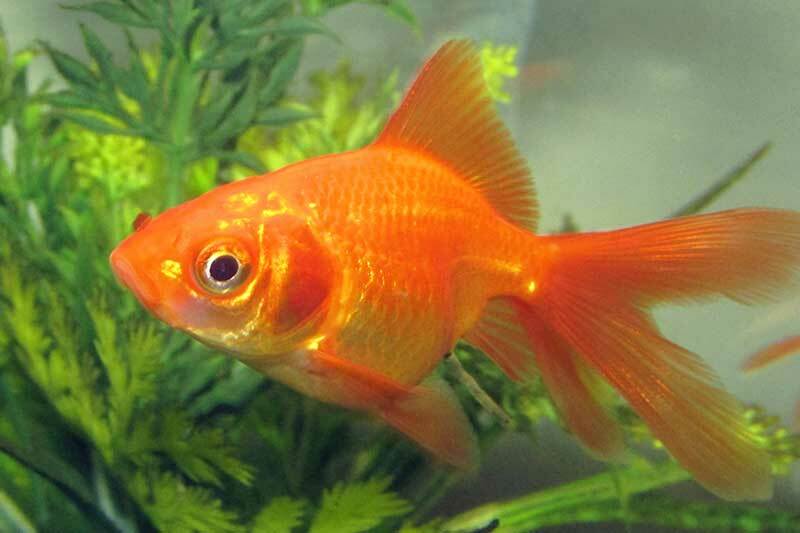 For a friendlier reception, be sure to feed any fish already in your aquarium. Hungry fish are more likely to be aggressive towards the newcomer. 3. If you plan to redecorate by adding new tank accessories or by moving things around, do it before the new pet moves in. 4. Darken the room and switch off any aquarium lights to minimise harsh contrasts. Now it’s time to ease your pet into its new home. 1. Float the bag in your aquarium for 15 to 20 minutes in order for the water in the bag to reach the same temperature as that of the tank. 2. Open the bag and add a cup of water from your aquarium. Reseal the bag. Repeat this step every five minutes. 3. After 30 minutes your fish will finally be ready for the big move. Use a net to scoop your fish from the bag to the tank. Keeping the room dim and quiet for the next few hours will help your fish recover from the move. Adding more than one fish at a time can reduce the chances of the newcomer being harassed by existing pets. Adding too many fish can be problematic too, especially if your aquarium is new. Speak to your local Petbarn team member about finding a balance. How can I stop my dog chewing?